On January 19, 2013, a local Cub Scout pack associated with a Roman Catholic Church in my area with which we were affiliated held it’s annual Pinewood Derby. At the Pinewood Derby happened to be an older man who was photographing every child – scouts and their siblings – whom I had not before seen. This man had a large professional-style camera, and was aggressively photographing the children, sometimes getting into their faces to do so. As a former scout leader – who is also still certified, by the way – and as a concerned mom, red flags were raised in my mind about this man who appeared to be a professional photographer, whom I did not know, and who was quite aggressively photographing the children. Toward the end of the Pinewood Derby when the children were receiving their awards for speed and design, I spoke to the photographer – who, by that point, I decided was a professional photographer – and confronted him about why he was taking so many photos after he tapped me on my shoulder while I was taking photos and told me to move out of his way. He took photos of my child and every other child, with no advance notice from pack leadership, nor with any opportunity not to provide consent, nor to opt-out of this situation. When the photographer would not answer my question, I became more concerned, and asked if someone hired him. He replied that, indeed, another scout mother (whom I later discovered was a friend of his) hired him to take the photos. I verbally stated to him that he did not have my permission to use any photos of my son, and he acknowledged that. He then began to argue with me that he didn’t want to talk with me because he was taking photos. This created an unpleasant and uncomfortable situation for me as I am interested in the privacy and protection of my son – and that of other children – and that a safe environment be provided and maintained. Not knowing this man, nor what he was going to do with the photos that he took of every child, I e-mailed four particular leaders within the pack leadership committee whom I knew had the most experience in the pack. Also, I did not e-mail other leaders because I did not know their names, nor their e-mail addresses. I e-mailed the four particular folks, expressing my concerns for privacy and safety of my son, and that of other children regarding this individual, whom I discovered was, indeed, a professional photographer. I requested the name and contact information of the professional photographer so that I could send him my nonconsent in writing regarding the photos that he took of my child without my permission. One of the den leaders whom I had e-mailed put up an unnecessary argument with me in response to my concern, and did not at all take the situation seriously. This den head happened to be the leader of my child’s den, and he used this situation as a personal attack at me, throwing in his own personal vendettas toward me that were unrelated to the issue at hand. He also used these issues as his reasons to eject my family from the den, which has caused my son to be extremely hurt and betrayed. Mind you, the man in question is an individual who asked me to serve as a den leader with him, and I did so for a period of one year, always maintaining professionalism and ethics in my interactions with him and everyone in the den and pack. That he brought his own personal issues against me into the matter were unprofessional and unethical, including that he never informed me about such issues before the current issue at hand. The pack leadership committee chairwoman then responded to me, also not taking my privacy and safety concerns seriously. I asked her, in writing, on three occasions throughout a period of one week (seven days) to provide me with the name and contact information of the photographer. She did not even know the man’s name or contact information! No references were requested of this man; and no attempt to inform parents beforehand, nor provide any opt-out condition was offered! It took the pack leadership committee chairwoman all of those seven days to respond to me with the name of the photographer’s business. The same pack leadership committee chairwoman also explained to me by e-mail that only a few (four) of the leaders in the pack leadership committee had approved the professional photographer taking photos at the Pinewood Derby, and that it was a change that came about the night before the Derby when a scout mom said her camera was broken and she asked a friend to take the photos. Supposedly, as was explained to me by e-mail, the professional photos were to be used to create a CD collage for an outgoing leader. However, without anything in writing to parents in advance, there was no guarantee that this photographer from off the street could use those photos for anything that he desired – as well as the scout mom whom he stated to me had hired him. In order to inform the charter organization representative in these issues in an effort to gain a positive resolution in my son’s best interests to the matters, I also communicated with and contacted the parish clergy of the church that charters the pack. I also took the opportunity to address the bullying which my son and other children have experienced within the pack and den – to the point of one child being physically hurt by another and whose family left the pack last year. When I had informed the den leader about it – as well as when I informed the chairwoman – nothing was done to stop or correct it. So, this is yet another issue that is not taken seriously by pack leadership. When I received no responses from either of the charter organization representatives (priests), I contacted the district council representative, both by e-mail and by phone. I spoke with him for about 20 minutes by phone, and he was supportive of me that I was a concerned enough parent to raise the issues of privacy and safety – not only for my child, but for all of the children – to the pack leadership. I stated to him, however, that the pack leadership did not see it that way. Unfortunately, he also declined from being officially involved in the matter unless no resolution could be obtained with the pack leadership and church leadership that charters the pack. Therefore, I contacted the church office in an effort to arrange a meeting between interested parties to obtain a positive resolution to these matters. On discovering that the head pastor was out of the country for two weeks, he had recently returned to the area, and two days following my phone request to arrange a meeting, he e-mailed everyone, providing his availability for a meeting, and stating that all other e-mail communications about the matter should cease, otherwise he would not be involved. He further stated that it did not matter to him whether or not the Boy Scouts of America, Supreme Court, or some other international tribunal was involved in the matters. I took that to say that he really did not desire to be involved, and that is also what I experienced at the meeting that was held. In the midst of these matters, I also consulted and communicated with a great many people in scouting who are familiar with these types of issues, questions, and concerns. From a couple of them, I received little to no support, however several others were very supportive, agreeing that I had a legitimate concern – as I also believed – for the privacy and safety of my child and the other children – and that particular policies regarding such a matter were not followed. From one experienced and knowledgeable former scout employee, I obtained information providing that a unit photographer should have accompanied the professional photographer at the event; and that the entire leadership committee should have been involved in the decision about the professional photographer. That same former scout employee contact also informed me that neither the pack, nor the chartered organization have the authority to create contracts because they are not considered legal entities. My question would also wonder why a scout mom could hire an outside professional photographer to come in and take photos of every scout and their siblings at a scouting event, without the parents’ advance notice and permission. Another experienced scout executive further stated to me that while he believed that the photography was acceptable, parents should have been provided with an official Boy Scout form, stating whether or not they desired to have any type of photos taken of their child. That was not done in regard to me and my family, nor to my knowledge with any other scout family in the pack. It must also be noted that one day prior to the meeting, the chairwoman e-mailed parents and informed them that a photographer was present at the Derby, and that photos could be obtained from her of their child(ren). That would not have occurred had I not expressed my concerns about privacy and safety for the children, and encouraged her to inform everyone. Armed with all of this helpful information, I attended the meeting between the priest who was the chartered organization representative, the pack leadership committee chairwoman, and the den leader. The parish priest absolutely grilled me about why I had a concern about privacy and safety of my child and the other children regarding the professional photographer. Of course, I explained that I was not informed in advance, nor provided an opportunity to opt-out. I further explained that when I see someone in the pack whom I have never before seen, and he is photographing my child and every other child, I have a legitimate concern. The words and conduct of the priest were entirely unethical and unprofessional, and he basically supported the lack of seriousness, ethics, and professionalism about this matter in the manner that it was handled by pack leadership. At one point, the priest even laughed about the situation of informing us to take the issue to the Supreme Court or higher authority, and also told me that I should have “gone along” with the photography situation. None of the other three individuals at the particular meeting took my concerns seriously, nor treated me with any respect whatsoever. The behavior exhibited by all three was bullyish toward me and my family, and reflective of their own intolerance and lack of insight in the matter. By far, the most offensive person toward me was the priest! He negatively escalated the situation beyond repair, which I believe was his actual intention. The anger, hatred, and misogyny that he directed at me was absolutely incredible! He stated to me that my concerns were inappropriate and over the top, having caused people to become fearful of me; I said that I had a legitimate concern, and did not agree with his characterization of me or my concerns. When I stated that my family has been involved with that church parish for the past 12 years, having been faithful and contributing much, he had absolutely no appreciation for anything me or my family had done. Last year, we left membership of that parish and joined another parish affiliated with my child’s school; and the priest was quite adamant to point that out and throw it in my face. I also stated, however, that we were still members of the parish when we joined the pack. The priest even had some piece of paper that he slid over the table to me, reflecting that we left the parish, and I slid it back at him. So, I stated to the priest, therefore, that he also had his own personal issue with me because my family left that parish. He then went on to inquire as to whether or not he and I had issues between each other in the past, and I replied that there were at least two. I stated that regarding those two issues (that were of extremely high importance in relation to marriage and family healthcare issues), that he referred me to someone else or did not respond. He, of course, did not recall the issues, and to me, it was apparent that he did not even believe they were important enough to remember. There were also two occasions when I approached the parish in my financial need, and was turned away both times, being informed that the parish had no money to give, even though about $100,000 was provided to families in need during one particular year through the parish’s St. Vincent de Paul affiliation. I also brought up the fact that, in the pack in which we were members prior to coming to our present pack, there were no types of issues of this nature at all – no privacy and safety issues, and no personal issues from pack leadership directed against us. 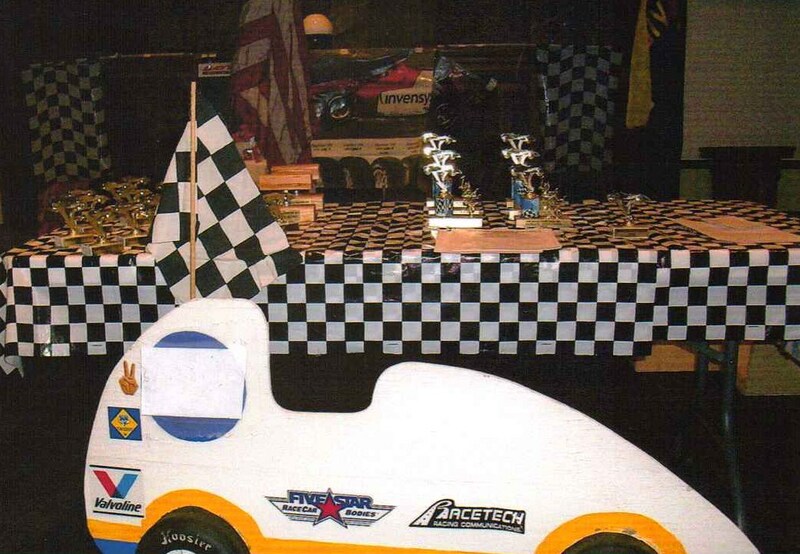 Last Spring, however, my son and me experienced a situation of a highly obscene and offensive nature from a scout mother in the pack – the same mother, by the way, who supposedly “hired” the professional photographer to take photos of all of the children at the Pinewood Derby. I went through the appropriate channel of the pack leadership chairwoman regarding that issue, and stated that we were extremely offended, however that I did not desire the issue to be such that it created a negative situation for her or for us. Wouldn’t you know that, at the meeting to discuss my concerns about privacy and safety, that particular issue arose by the chairwoman and den leader, saying that it was blown out of proportion! My son and me were the victims in this matter of this scout mom who behaved in an outlandishly obscene and offensive manner toward us! How sad, now, that they are protecting and supporting her – the offender of the situation – rather than us as those who experienced it. In psychology, that is called victim-blaming. All of this was yet another reflection to me that neither the pack leadership, nor the church leadership share the appropriate and needed values that should be present within the pack and the church. Understand me clearly, now, that these are the leaders of both of these organizations. When I hoped for understanding and consideration, me and my family received nothing but insults, offenses, and lack of professionalism, ethics, and values on all fronts. That both the den leader and the priest called me a liar when I presented my simple and legitimate concerns about children’s privacy and safety, and that the issue was used as personal vendettas and attacks on me and my family by pack and church leadership, was highly offensive and a complete affront to me, as someone who is always looking out for the best interests of my son and the children. To further the affronts, the den leader has unreasonably and irrationally threatened legal action toward me over this issue – the simple issue of desiring privacy and safety of children. Is this what the Boy Scouts of America stands for and supports – threats and defamation of character that have absolutely no basis? This situation is truly incredible, and has become unnecessarily unreasonable and traumatic for me and my family. Therefore, I could see that, ultimately, the best positive resolution for me and my family related to these issues was to leave the pack. Also, when I asked all present at the meeting for a promise that such a privacy/safety issue would not occur again in the future, no one responded, and therefore, I received no guarantee that this same type of thing would not occur again. We had been members of the pack for about two years, always being faithfully involved and supportive, contributing much to the fundraisers as well as in officially volunteering for the pack, and in my son gaining much enjoyment, achievement, and socialization with other kids. Currently, scouting has been his only extra-curricular activity, and as an only child, is something that, overall, he has truly enjoyed over most other types of activities. Additionally, at least I was able to locate the photographer’s name and business address, online, based on the business name that the pack chairwoman provided to me; and I both e-mailed and mailed my nonconsent for his use of his photos of my son taken at the Derby without my advance notice or permission. I should not have had to go through all of what I did simply to ensure the safety and privacy of my son. This situation would have never occurred had pack leadership informed parents in advance and provided the opportunity to opt-out. Hopefully, we will find another pack in which we can experience peace, fairness, a safe environment, common sense, and courtesy. If there is an absence of locating such a group, I will be hesitant to remain involved with scouting at all if my legitimate concerns are going to be turned around against me and my family as personal attacks, making our experience unnecessarily painful and detrimental. I do not wish to be persecuted simply because my ethics, morals, values, standards, and expectations are higher than average. We came to scouting for enjoyable experiences – mostly which we have had – however, I am not willing to subject my son and family to being hurt by folks who do not stand up for the right thing for children. And, I’m not going to “go along” with what is wrong, and against my values and principles. Those who go along with what is wrong and do not stand for what is right are not leaders to me, and such people blindly take an organization or institution astray due to their own dysfunctional conduct. By the way, I informed the district council representative yesterday, briefly, by e-mail of what transpired in the meeting. He personally responded to me by e-mail, stating that Boy Scouts of America is thankful for families such as mine, and is appreciative of my handling of the privacy and safety concern at hand. He also wished us well, and offered his assistance in helping us locate and become involved with another pack that is basically more in line with our own values.